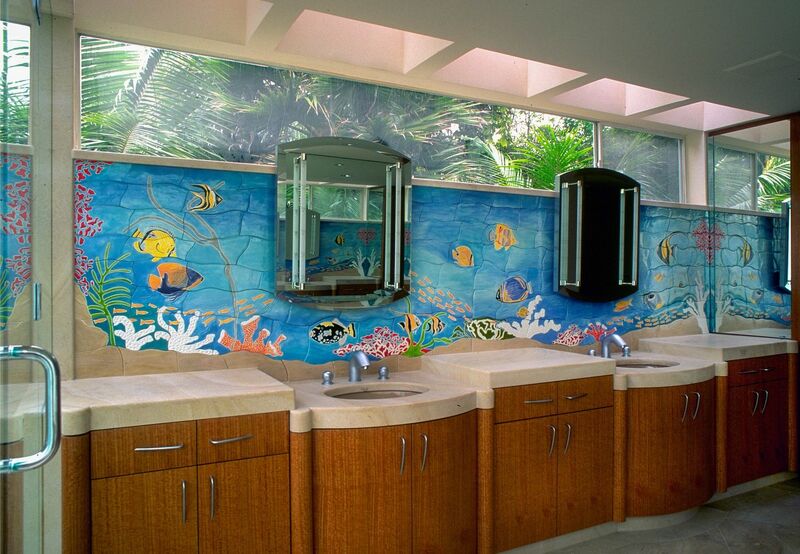 This was a custom handmade free-form ceramic tile mural for the splash in the Master Bath in a custom architect designed home. The tropical reef design was mine, based on previous designs for installations which the client liked. It was laid out to accommodate the two mirrored cabinets and the recessed sinks.